If you want to keep the beautiful furniture in your residence looking as flawless as ever, you can relax. The fiber protection services offered by Magic Rug Cleaners can keep your furniture safe from frustrating stains, spots and soiling. If you rely on our professional fiber protection services, you don’t have to constantly fret over the possibility of ruining your furniture’s immaculate look. Magic Rug Cleaners can protect your furniture by minimizing the effects of stressful spills and stains. Fiber protection products can efficiently soak up dirt and liquids, making stains and spills significantly less of a problem. Application of these products can make doing away with spills and dirt a markedly simpler process, therefore decreasing the chances of lasting unsightly stains. Fluorochemicals and acid dye blockers both can make protecting your furniture an effective process. 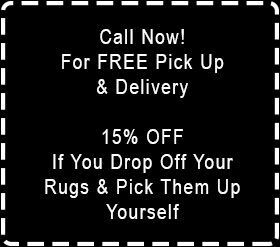 If you’re considering hiring Magic Rug Cleaners for our professional fiber protection assistance, you don’t have to worry about your specific furniture items. Our fabric protection products can be used for the majority of furniture pieces out there. If your furniture is made of a particularly fine and delicate fabric, we can use agents that do not lead to pesky water spots. If you want to keep your upholstery in top-notch shape for a long time to come, all you have to do is give Magic Rug Cleaners a call. The professionals at Magic Rug Cleaners not only are highly skilled and knowledgeable about furniture protection, but they’re also extremely courteous and hard-working people.